As predicted, since Maxine Waters declared her support for intimidating Trump administration members, the harassment and violence is spreading to average Americans who simply support Trump. Over the last month several members of the Trump cabinet have been castigated and tossed out of public spaces. Kirstjen Nielsen, Secretary of Homeland Security was harassed and heckled at a Mexican restaurant in DC, followed by Sarah Sanders being refused service at a restaurant in Virginia. “Let’s make sure we show up wherever we have to show up, And if you see anybody from that Cabinet in a restaurant, in a department store, at a gasoline station, you get out and you create a crowd. And you push back on them. And you tell them they’re not welcome anymore, anywhere.”, representative Waters declared at a rally in Los Angeles a few weeks ago. Her words have apparently sounded dog-whistles to rabid anti-Trump individuals, who are going beyond harassing, intimidating and embarrassing Trump administration officials; regular folks are being targeted. Over the last few days, several despicable acts have been portrayed against Americans who support the president. 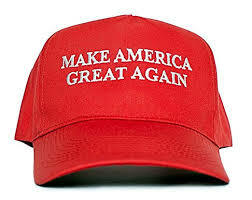 A 12 year old was attacked in a burger joint in Texas for simply wearing a “Make America Great Again” hat. He was verbally assaulted, his hat was stolen, and a drink was spilled at him. In another incident Florida man said he was punched in the face and dragged 30 feet with his arm trapped in a car by a man who was angry over the fact he had a Trump flag in his front yard. While watching a fireworks display on his own property, Jeff Good was punched in the face and dragged 30 feet by his attackers after they drove by demanding he remove a Trump flag from his own property. When Good refused, the man allegedly punched him in the face. Good tried to punch back, but the man immediately drove off with Good’s arm still trapped in the car. In another shocking report Harvard Law School professor, Alan Dershowitz was threatened to be stabbed at Martha’s Vineyard by a rabid anti-Trump woman. “This is a Martha’s Vineyard woman saying she would stab me through the heart,” he emphasized. She was violently angry because Dershowitz is not in favor of impeaching Trump.